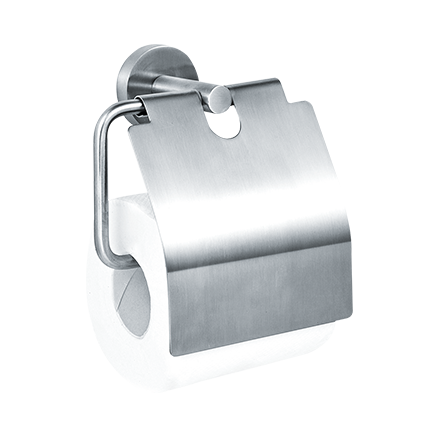 The toilet paper placed on this bail-type holder has unrestricted feed. Its design allows for easy replacement by maintenance or even guests. All exposed surfaces have a satin finish stainless steel. Paper bar is reversible to change handing. Satin finish stainless steel hood. Hood adds weight for easy tear and also protects paper roll from water droplets.